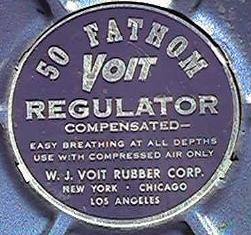 Voit acquired patent rights for regulators from US Divers in exchange for rubber products such as hoses, fins, masks, etc and started marketing two hose regulators in 1956. 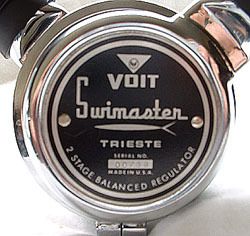 With the exception of the Trieste and the 50 Fathom, all Voit two hose regulators are internally the same as their US Divers counterparts. In order to physically distinguish them, cases and labels were changed, as well as the color of the hoses and mouthpieces. Most are shown below. 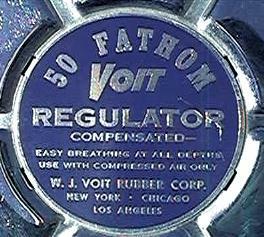 Voit began making regulators in 1956, and the round labels distinguished them from US Divers. The Voit VR-1 Sportsman was a single stage unit, very similar to the US Divers Stream Air. It originally had green hoses and mouthpiece. 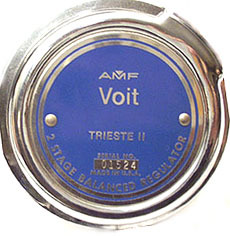 The Voit VR-2 Mariner was Voit's first two stage regulator, produced from 1956-58. It was the same as the US Diver's Navy Type DA regulator. They had a green label with green hoses and mouthpiece. The top box was satin and the bottom box (with label) was polished chrome. The Blue 50 Fathom 'V55' was unique in that it had a plastic case that was corrosion and chip proof. It was the lowest priced two hose regulator from Voit, and was comparable to the US Divers JetAir. It sold for $50 in 1962. 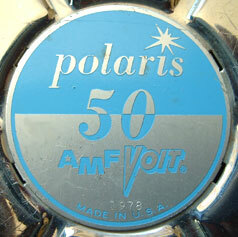 The Voit Polaris 50 'V22' was marketed only 2 years, 1962 and 63. The chrome plated brass cases were held together with a clamp ring instead of box clips. This regulator was internally similar to the US Divers Mistral, but had the typical Voit gray hoses and mouthpiece. 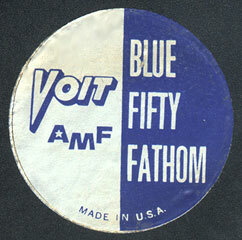 The Voit 50 Fathom appeared in about 1959, and the brass case was painted blue. To keep from chipping the paint, they used a clamp ring instead of the standard box clips. The Trieste 'R22' (1966-70), and was a completely original design, with black hoses and mouthpiece, and the smallest, most compact case on the market. This early model had only the LP auxillary post. Later models had both LP and HP ports. The Trieste II was fully balanced like its predecessor. 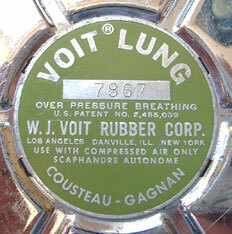 It only lasted a few years, before Voit ended two hose regulator production forever. This model featured seamless hoses and the new curved mouthpiece. 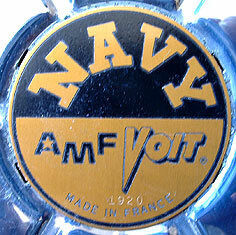 The Voit Navy 'V66' (1962-64) was the top of the line Voit two stage, double hose regulator in the early 60's, and was counterpart to the DA AquaMaster. 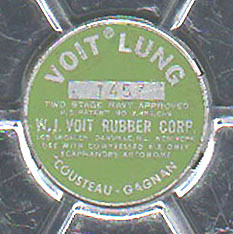 It was advertised as "designed for and used by the US Navy Underwater Demolition Teams" but the US Navy never used Voit regulators.